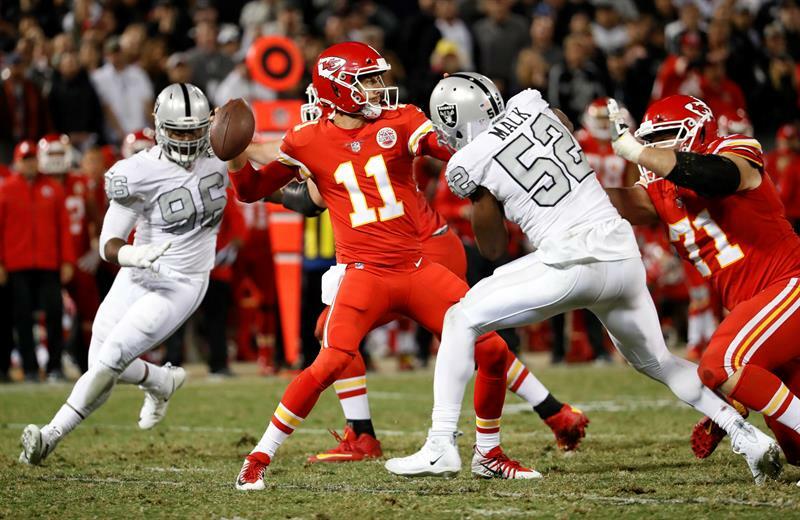 Quarterback Derek Carr threw a 2-yard touchdown pass to catcher Michael Crabtree in the final play after the game was lengthened by two consecutive defensive penalties and the Oakland Raiders cut a four-game losing streak with a win 31-30 over the Kansas City Chiefs. The NFL Week 7 pre-match left the Raiders (3-4) winners of the AFC West Division Duel, where the Chiefs with a 5-2 are the leaders. With his campaign at risk after the recent drought, Carr led an 85-yard touchdown series in the final 2:25 minutes to give the Raiders the thrilling win over a comeback in which they were down by 9 points to the last quarter. Carr completed 29 of 52 attempts for 417 yards and three touchdowns, with wide receiver Amari Cooper trailing 11 passes for 210 yards and two touchdowns. Field marshal Alex Smith completed 25 of 36 passes for 342 yards and three touchdowns, did not allow interceptions, knocked him down once and left the pin index at 127.3, compared to Carr’s 101.2. But their work was not enough for the Chiefs to avoid their second straight loss, a mark they had for the first time since October 2015, and saw their 12-match winning streak in the AFC West Division cut with an exciting final. 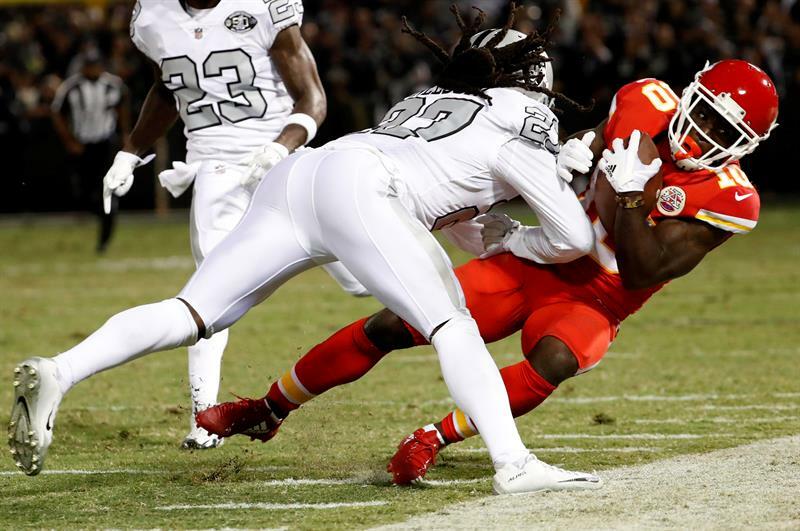 The Raiders had the apparent touchdown of the lead on a Jared Cook pass with 18 seconds left to play when the instant replay showed they had downed the 1-yard line. An offensive pass interference against Michael Crabtree erased another touchdown play in the subsequent play. But punishments for holding against Ron Parker and Eric Murray set the stage for the final play. Carr connected with Crabtree at the front corner of the end zone to tie the game to 30. Kicker Giorgio Tavecchio won it with an extra point, sparking the celebration on a crazy night that included the ejection of Oakland running back Marshawn Lynch in the second quarter for pushing an umpire, giving a lamentable image again should also concern the players’ union.